We have a special video meditation for you to experience before reading the teaching from Beloved Sanat Kumara. Please click on the image below. This video is a meditation on Venus, the morning and the evening star of love. Keepers of the Flame indeed born free to love thy God in the Holy of Holies, we come in the fullness of our twin flames. We come to seal twin flames in the concluding spiral of this summer conclave. We come for the sealing of the light of causal bodies. 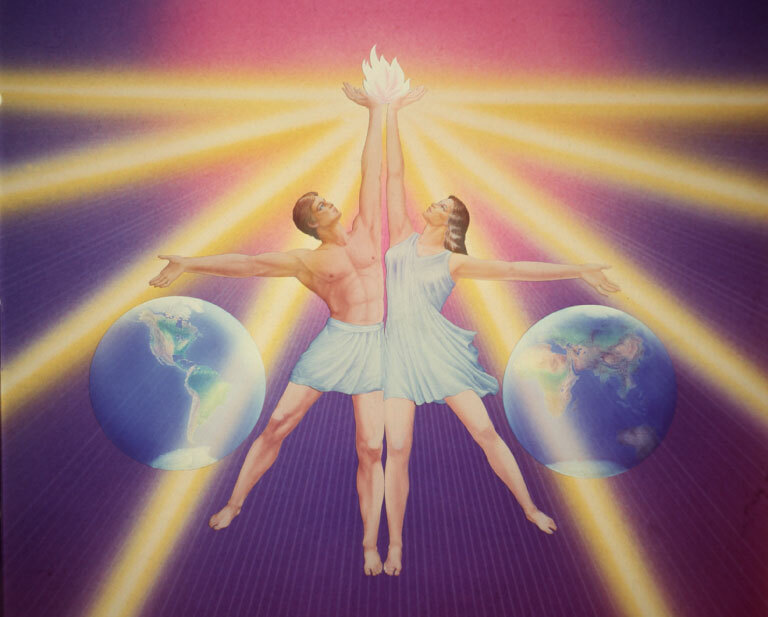 We come for the direct and physical contact and transfer of light that those whose twin flames are ascended might now have that clearing of the light whereby they might be a greater receptacle for that light of the inner levels. We come for the consecration. We come to release sacred fire and perform certain inner actions according to the light of the ruby ray that the divine service might be fulfilled, that the twin flames of causal bodies of souls of Light might hold the balance in the earth. We come with comfort unto the Mother in this hour, and the community—comfort and compassion to life and the sword of victory for cutting free all of those who came with us. We place our Light here in this heart, in your heart. We place our Electronic Presence as pillars of fire for the fulfillment of all that is the will of God from the Two Witnesses unto the twin flames who shall be the last to enter in when all of the saints go marching in and the final ones go to the hour of their ascension. 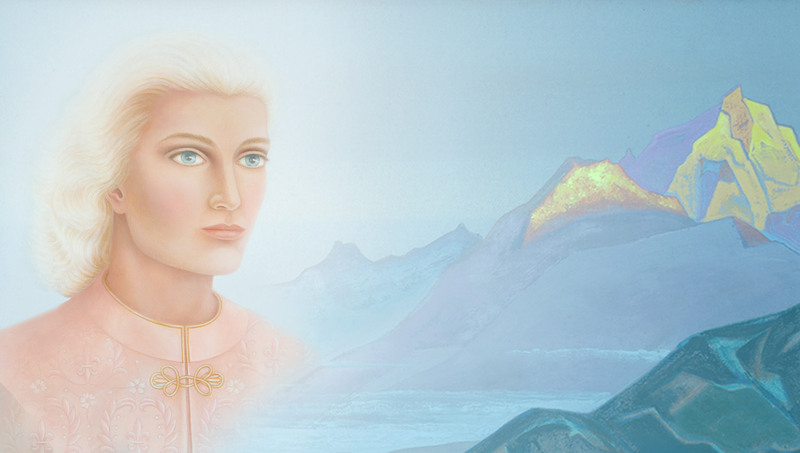 We stay in the earth, tarrying in our twin flames and Electronic Presence that we might anoint, that we might perform certain activities for elemental life, that we might respond to your calls today to secure this activity, to secure your supply. We place our Electronic Presence now at this altar. We anchor our Light through these vessels of offering of our likeness. Thus understand that at a certain plane of being at which we reach the evolutions of Venus and earth through these focuses, we shall continue that which has been brought forth. And we shall go after the lost Venusians, the lightbearers—all who have come from octaves of light to serve the Light on planet Earth. We offer ourselves this day for the clearing of your four lower bodies as you shall so desire to return in service and decree to violet flame for supply, for that action that will thoroughly anchor the call that is given. We amplify the power of Chamuel and Charity. We send the ruby ray. We make straight the paths and we clear now the way for the stump to the nations, for the cutting free of all who are the supporters of that stump—beginning with yourselves and fulfilled in those who are on the European continent. 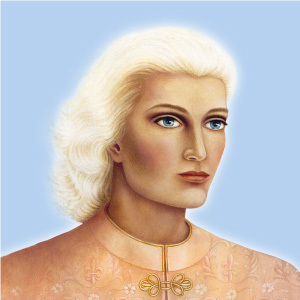 We, with Saint Germain and Portia, Archangel Michael, El Morya, Lanello, the God and Goddess Meru, the Manus and Mother Mary and many sponsoring Masters, go after the lightbearers of these nations. We send forth the call, beloved. We come with our Presence. We come today with blessing and love and comfort. This is our Mission, this is our Light—that you might nestle in the heart of the Father/Mother God, that you might know us as the representatives of Alpha and Omega, that you might feel released now the light of the Holy Spirit through the Maha Chohan, through Meta and Mighty Victory, that there might be established peace and harmony, well-being and consolation and therefore the release of those energies that have been tied in tension and worry and darkness. We release forces within your being that you have not had at your command until this very hour. 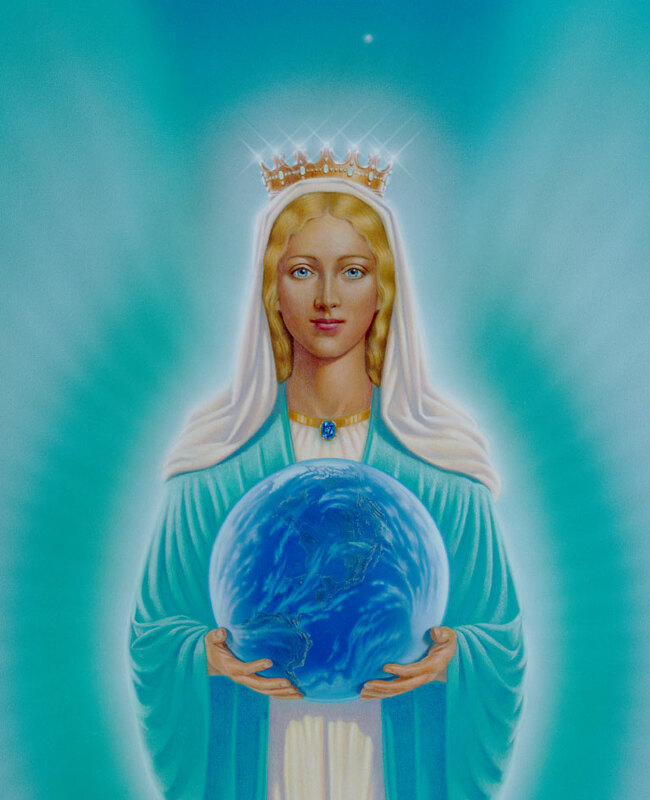 For truly this day is the culmination of four days of intense service of the Mother unto the physical octave. Any more that can be given, beloved, must come through your own call and renewal and continuation. Truly the Light is present. Truly it is the sustainment, the swaddling garment, and the protection. All that is necessary is your footsteps, your faith, your moving forward, your determination. Remember, then, the blessing and the Light that has come; for in the hour when you did begin these calls, great darkness did cover the land in the astral plane. And in the hour of their fulfillment in this moment there is joy, there is renewed love, there is renewed hope, there is renewed faith. The highways are cleared. Let the lightbearers go forth. Let us find every seed of Sanat Kumara in the earth. Let us find the lightbearers. Even so, our hands are upon you now, blessing you upon the head, restoring the divine memory and the great, great love we share. Truly, let this love that is tangible be not taken from you, be not compromised; but dwell in its blessing, its comfort and devotion forever. We have been with earth for long evolutions. 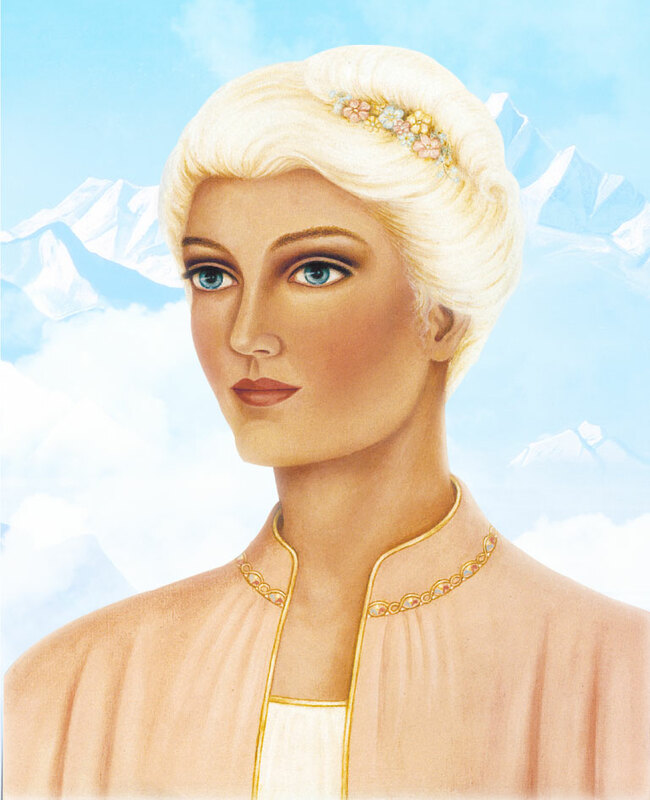 Lady Venus does sustain the presence of the Mother in the earth. I send my reinforcement as the Electronic Presence and I keep the flame for the solar system with Helios and Vesta. Our inner work through you is most important. Therefore when you make the call to Chamuel and Charity to fulfill the perfect work, so also, beloved, make that call to us and to our legions. For by the third ray of Love, all shall be fulfilled and much more, as the third ray itself does clear the way for the fourth, the fifth, the sixth, and the seventh. Elohim of Love, Heros and Amora, multiply our causal bodies in the earth. Let the power of Love restore culture and judge the anti-culture of the fallen ones. Let the cultivation of Light in every field commence the New Day of the restoration of the golden ages which existed prior to the Great Rebellion. We therefore bring before the Messenger and the Keepers of the Flame those records of Atlantis. They are presented and held by Elohim. They are open and ready, and the evolutions to be judged. And those who fell on the fourth line of the clock—the four o’clock line on Atlantis, the ten o’clock line on Lemuria—can be and are judged in this hour by the power and the fervor of our Presence and by your ratification of this judgment in the coming fourteen days. 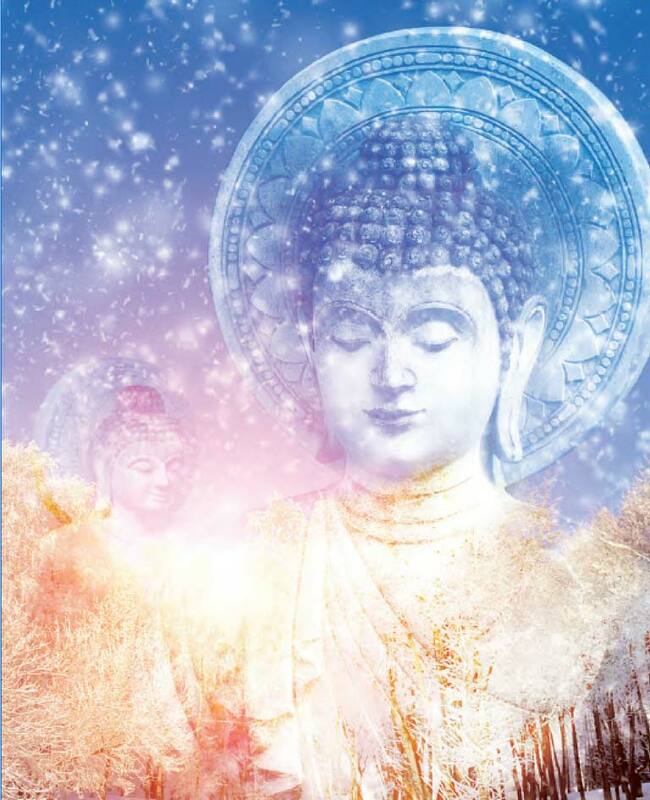 The full power of the Seven Holy Kumaras and of the Mother Venus is unto you. Let therefore your life be filled with joy, and let earth become crystal clear as a sun. At inner levels, many activities are taking place. There is movement in the etheric octave, the kingdom of heaven. 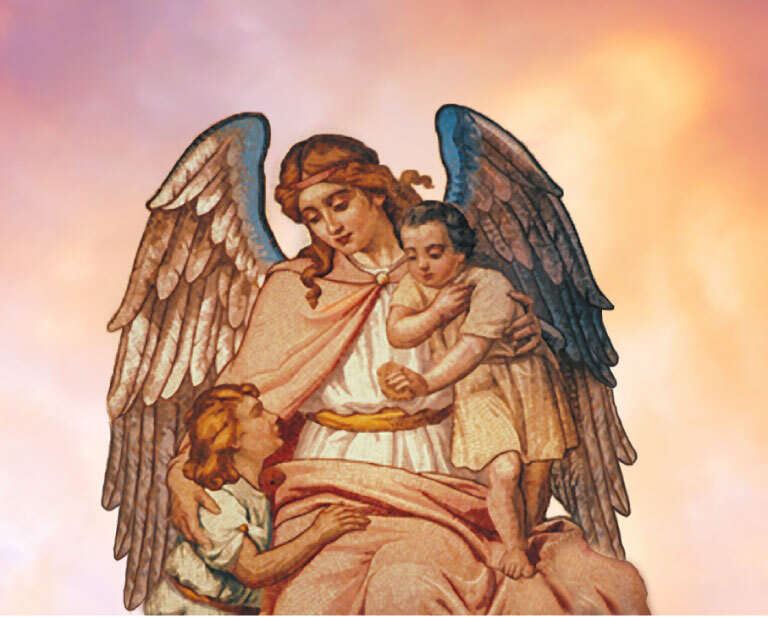 There is a great gathering of angels and saints of other worlds in the retreats of the Brotherhood. 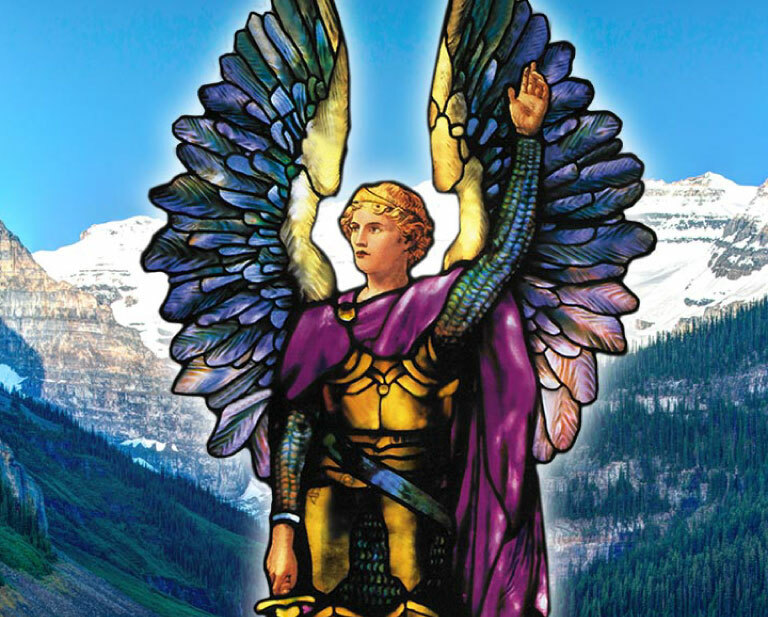 It is surely the time to be present every night at the Royal Teton, even as you will spend a portion of each night with Archangel Michael, still clearing the pits and the astral plane. We are your Father, your Mother in the earth. We hold you now in the divine embrace. We hold you in the strength of the sacred fire. Our flame now transferred to you in this embrace does remove from you, as the Great Law allows, that substance, that impression, that record of the fallen ones whereby they have sought to remake you and remold you in their image and likeness. Likewise, we can remove many such implants of the fallen ones in the lightbearers as their lives confirm the good and shun the evil. We liberate souls whose wills have been dominated by darkness. We teach at inner levels. We send Cosmic Christs this day who have not been seen in the earth since those early golden ages. They come to magnetize by the Great Central Sun Magnet all souls of Light of earth. Truly it is the hour of the Divine Appearing. By perfect Love, assimilate Love. Go forth to love this day as thou hast not known Love before. Let thy love dissolve all evil in every form. Feel the intensity of the ruby ray and of its compassion and of its law. Perfect Love, beloved, is not to descend in vibration from this. Feel, then, the quivering light—feel it in your chakras. And therefore, do not compromise this Love in sympathy for the fallen ones, but demand of earth the divine standard. When you demand it, some will meet it who have never been able to meet it before. Stand staunch as the example of our twin flames and you will see by your honor and courage that many will return to the level of their own Christ-reality and divine memory. Thus never, in sympathy, give that which is holy unto the dogs. Let it be so in the words of Christ. Let holiness be unto the LORD and to His representative—the Christ of each one. And let the soul, candle lit in hand, mount the spiral staircase to perfect Love, to the perfecting of the Word and our image in your heart. We dedicate these focuses [their portraits] as a reminder of our ever-presence with you, our comfort, and the reality that we are for thee the Father, the Mother, the just, the true, the wise, the loving. In the name of Alpha and Omega, the beginning and the ending, we serve to the victory of your God flame as twain. Vol. 28 No. 44 – Beloved Sanat Kumara and Lady Master Venus.